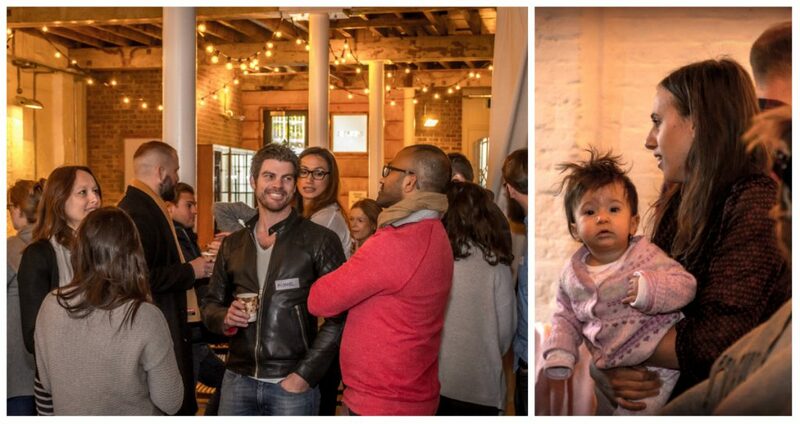 Bump & Baby Club: Pregnancy Pop-Up. 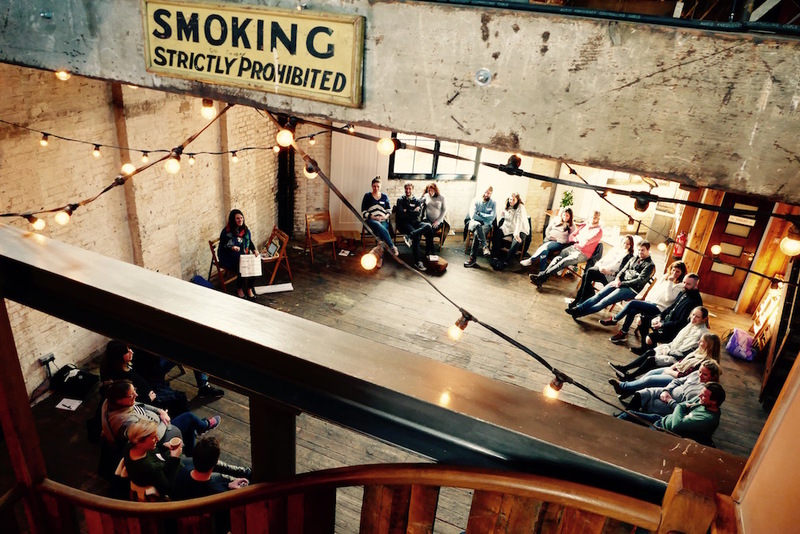 8am: We rock up to our stunning venue, Brixton East. After unloading two cars-full of goodie bags, props, flowers and even a baby bath, we realise we haven’t brought enough cups for the all-important tea-breaks. So Alexis, our wonderful Hypnobirthing instructor and midwife, volunteers her husband Dan to go on the hunt for some more, while our own husbands are roped into all sorts of other crucial jobs – thank you boys! 8.50am: We are meeting and greeting our guests, although it’s Alex’s 5-month-old Sylvie who’s getting all the attention – happily cuddling anyone who’ll have her, and of course working the camera to full effect! 9am: The day is off to a relaxing start with our first ever Hypnobirthing course. For us it’s crucial the course appeals to everyone – from the most positive to the most sceptical people in the room. Our instructor, Alexis, has years of experience as a midwife at leading hospital Guy’s and St Thomas’, and her practical, straightforward approach goes down a treat. During the tea break we enjoy chatting to everyone and feel like we’re reliving the last few weeks before our own babies arrived – there really is no other feeling like it! 1pm: Lunch is served. 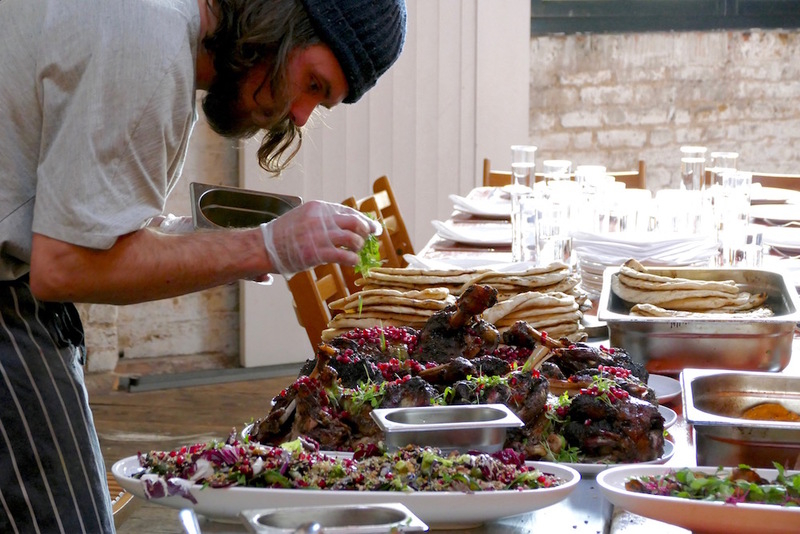 Seeing everyone’s reaction to the banquet-style, street-food feast brings a smile to our faces. 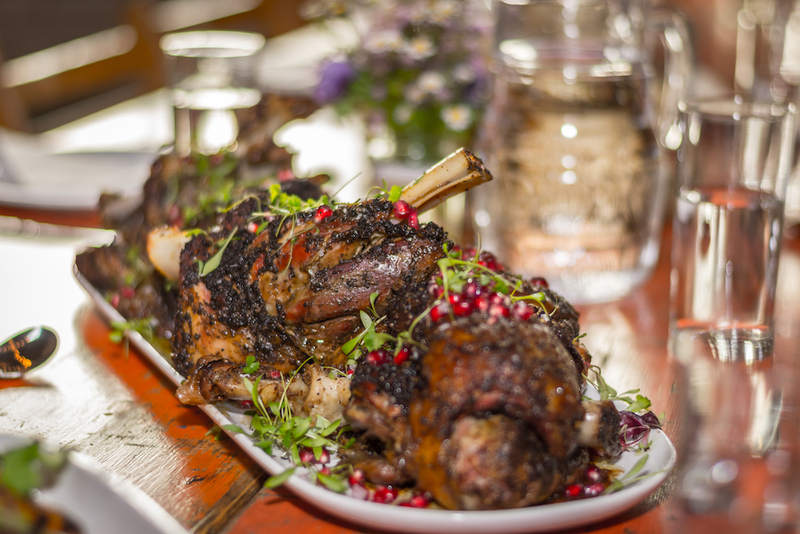 Slow-cooked lamb, charred winter squash, fattoush salad and stacks of handmade flatbreads is a far cry from the sandwiches and crisps some people said they were expecting. We aim to please! For us it’s important that we support local small businesses as much as possible, and everything is organic and freshly prepared. Despite very satisfied appetites, there’s loads of food left over which we happily share with the soup kitchen across the road. 2pm: Baby Bedtime Workshop. Seemingly simple decisions like when to give your baby their first bath and how to put them down to sleep can seem like life-changing conundrums when you first arrive home with your newborn. 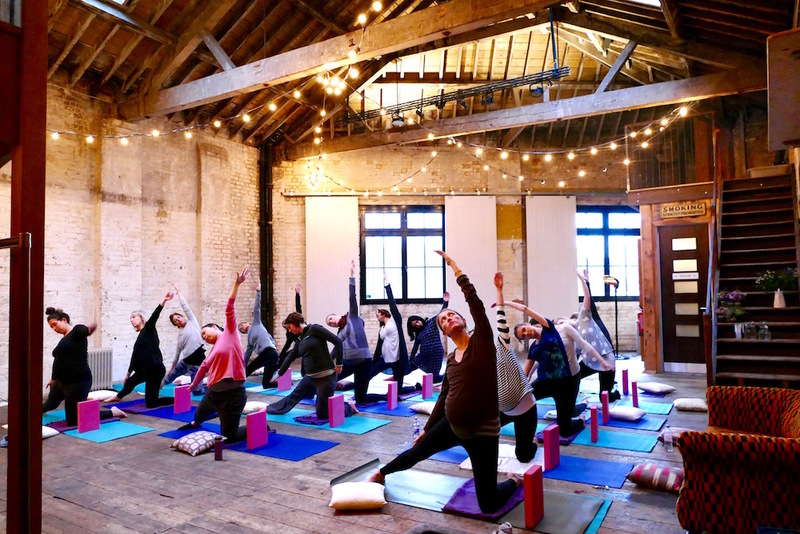 To arm our expectant parents with practical tips and expert-led advice, we put together a Bedtime Routine Workshop in conjunction with baby skincare experts Mustela. 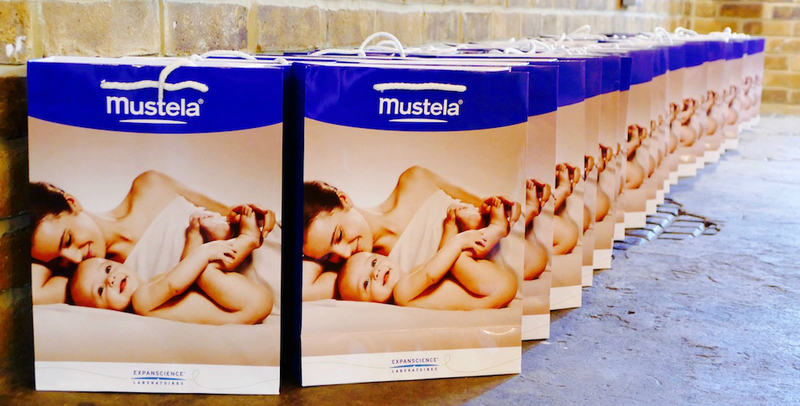 In addition, Mustela talked us through their wonderful range of maternity and baby products, and provided samples for everyone to take home in our goodie bags. 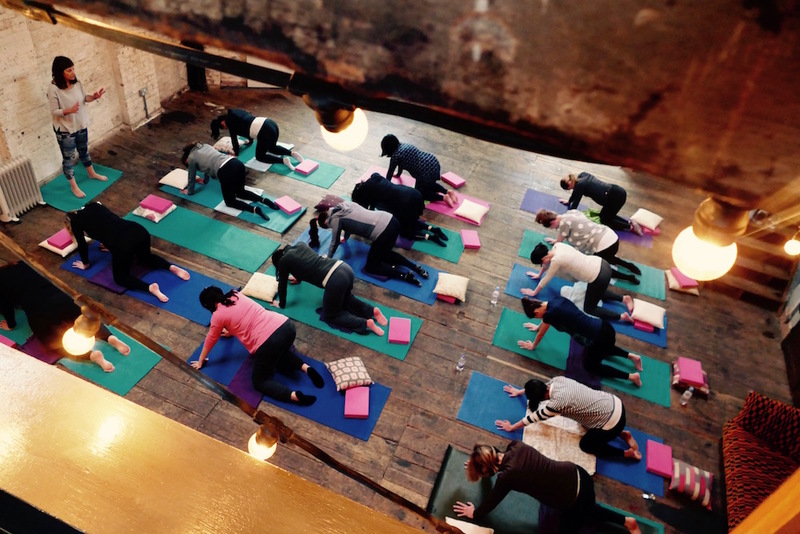 2.30pm: To end the day our dear friend and one of London’s very best Pregnancy Yoga instructors, Michele Misgalla, leads a bespoke yoga session that includes breathing techniques and positions that help our mums-to-be prepare for giving birth, whilst also unwinding. Not only does she deliver a perfectly balanced class but she’s also spent half the day helping us behind the scenes, cleaning tables, packing away plates, and entertaining little Sylvie. We feel so lucky to have her as part of the Bump and Baby Club family. Paula: For me it was so nice to have our husbands there helping out, and I think the guys who came to the event really enjoyed chatting to them and asking what it’s really like having a baby..! So much of what’s out there for pregnancy and parenting is aimed at mums, and we really want to change that and put dads-to-be equally at the heart of what we offer. It was lovely overhearing guys saying they’d been expecting to turn up at a damp scout hut and how wrong they were! 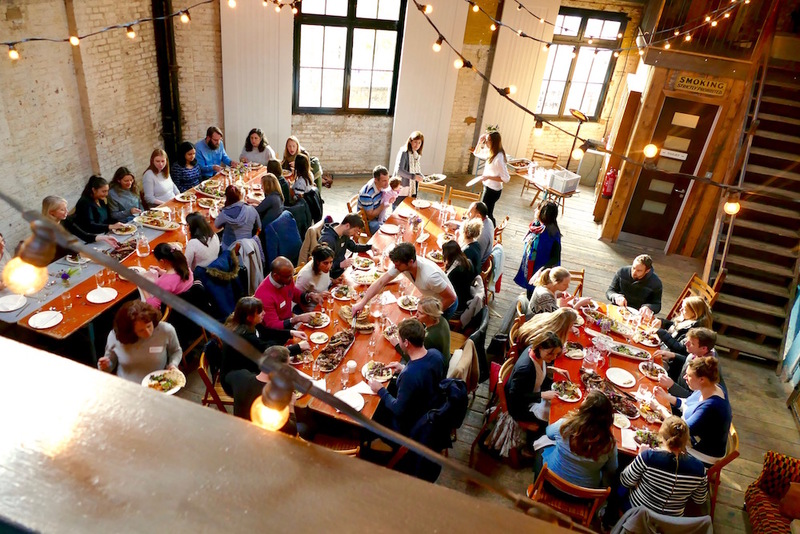 Alex: I loved the detail that went into planning the event – it was a bit like organising a wedding! 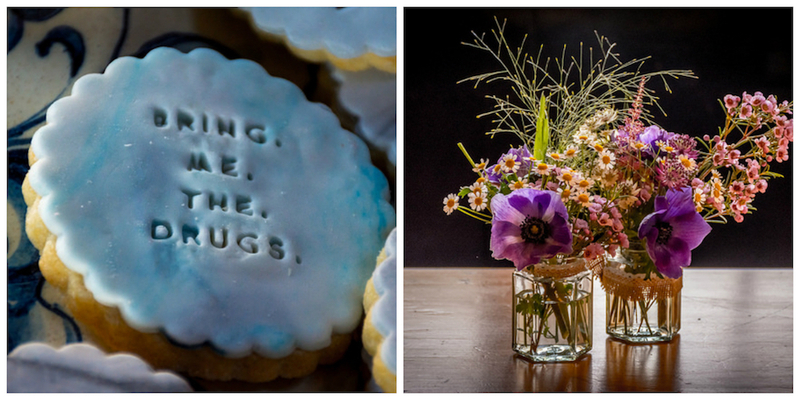 We totally threw ourselves into it from making rustic flower vases out of jam jars to sourcing bespoke biscuits with fun, birthy slogans. I also enjoyed seeing my husband on tea-making duty – he’s American and it’s thanks to this event he can FINALLY make a great cuppa! But it was people’s reactions to the day which was the best bit for me – and we both went home bursting with ideas for more special events! We will be releasing the details of the next one soon and are very excited to be collaborating with some amazing brands. So watch this space people, and be sure to join us!